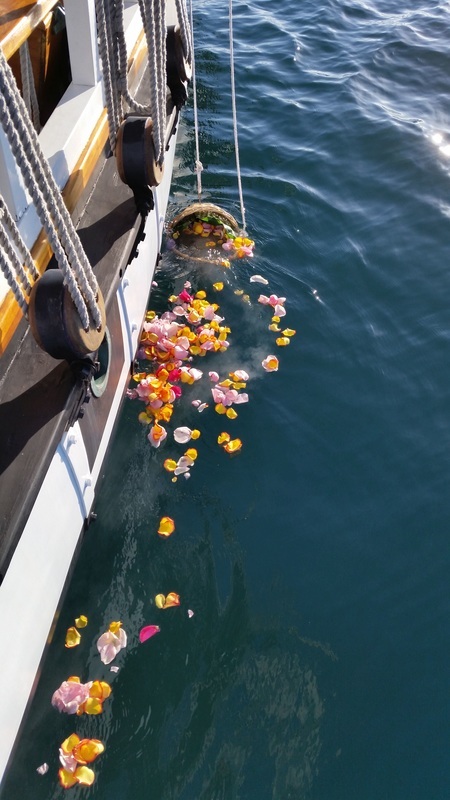 We are a San Diego-based company providing burial at sea services. On April 21, 1997, Ken's father died. His wish was to be cremated and his ashes spread upon the sea that he loved. This was the compelling reason for forming Ashes on the Sea, a small, caring company to help in your time of need; a company dedicated to excellence in service and with the highest integrity; a company that is truly interested in you! Our company is still a small, intimate one and we're dedicated to giving you the personal attention you need at this sensitive time in your life. Please feel free to call us any time. Please read this really great interview with Ken & Anya Shortridge from "The Daily Undertaker."